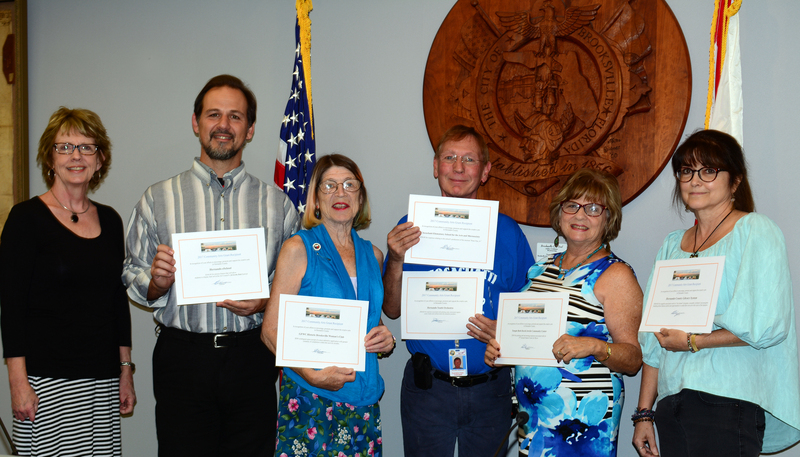 HYO won a 2019 grant for $400 from the Hernando Fine Arts Council. Maestro John St. John accepted the award on January 11, 2019. Founder and Maestro John St. John accepts a $500 grant from the Hernando Arts Council on April 13th. 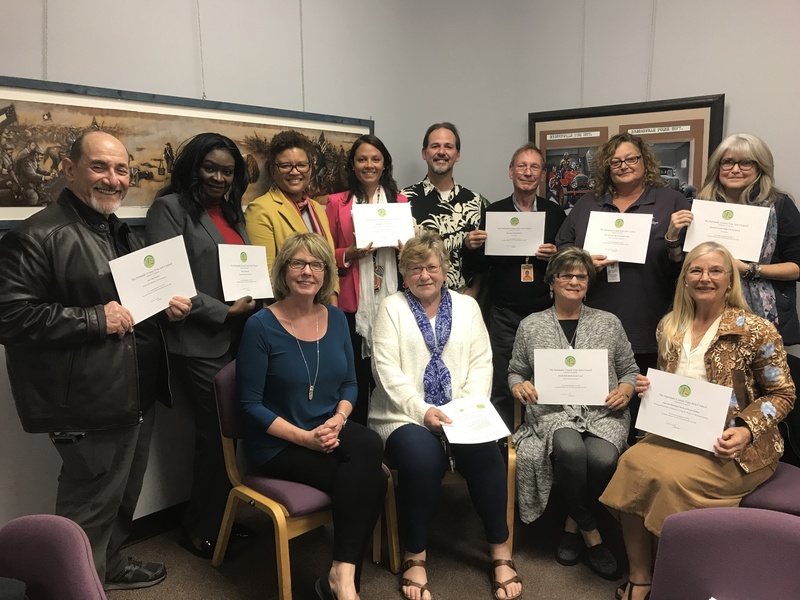 Maestro also accepted a second grant on behalf of Chocachatti Elementary School, the Hernando County fine arts magnet school where he teaches cello. These young HYO musicians have worked hard at their craft for a number of years and in time outgrew their smaller violins. 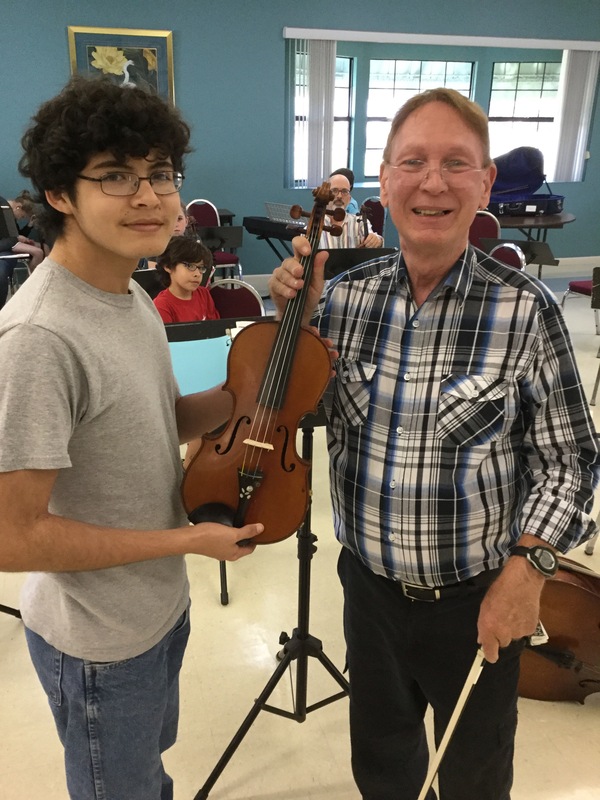 Fortunately, concerned community members have donated their unwanted instruments to HYO's instrument collection program, and two of those donated violins found their way to new hands on Sunday, March 26, 2017. HYO founder Maestro John St. John makes the presentations. Individuals wishing to donate unwanted instruments can call 352-600-9555 to schedule a pick-up. 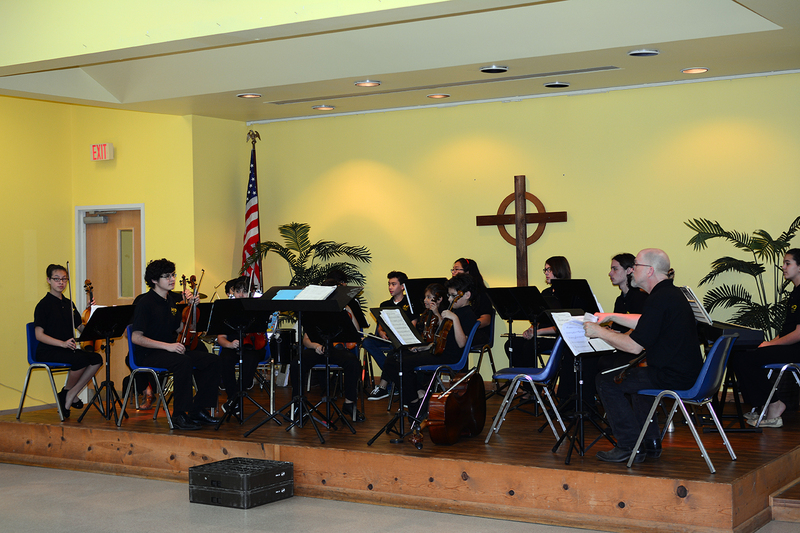 Hernando Youth Orchestra (HYO) is delighted to report that our Concertmaster, John Boyle, 16, is leaving in August to attend Baylor University in Waco, Texas. John has been an integral part of HYO for 9 years, and has become an exceptional violinist in that time. That skill, plus his stellar academic record, earned him a scholarship to Baylor. HYO wishes him well in his studies and will miss his musical leadership here in Florida. 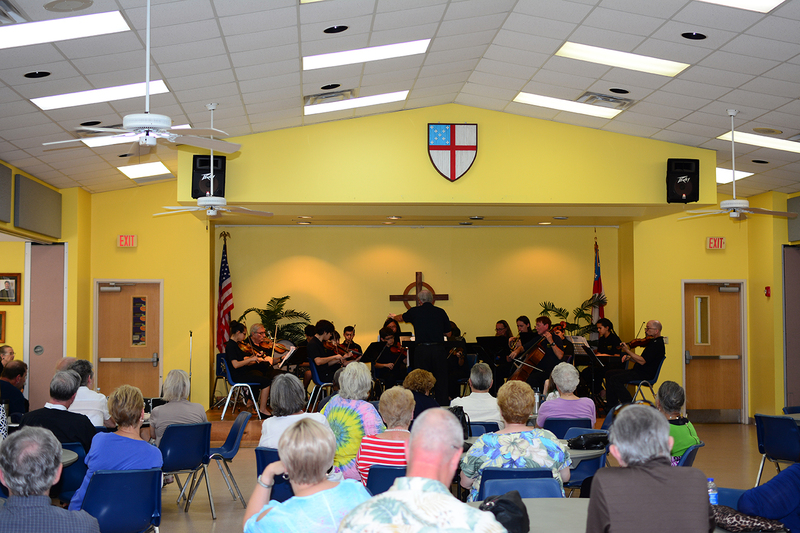 Hernando Youth Orchestra first violinists Joseph Boyle, 14, and his sister Maria Boyle, 12, have earned full scholarships (room and board, tuition and books) to attend New College in Sarasota FL. New College is a fully-credited, independent institution and a part of the Florida State University System. The Boyle siblings earned this honor by placing third in the Brain Bowl, an all-state competition called CROP (College Reach-Out Program) sponsored by Pasco-Hernando State College. The event was held in Tampa in March. Scientific studies show that young people who seriously study music get a 17-20% boost in academic performance. The Boyles are living evidence to support that scientific claim, yet local public schools have largely dropped music from their curriculum. 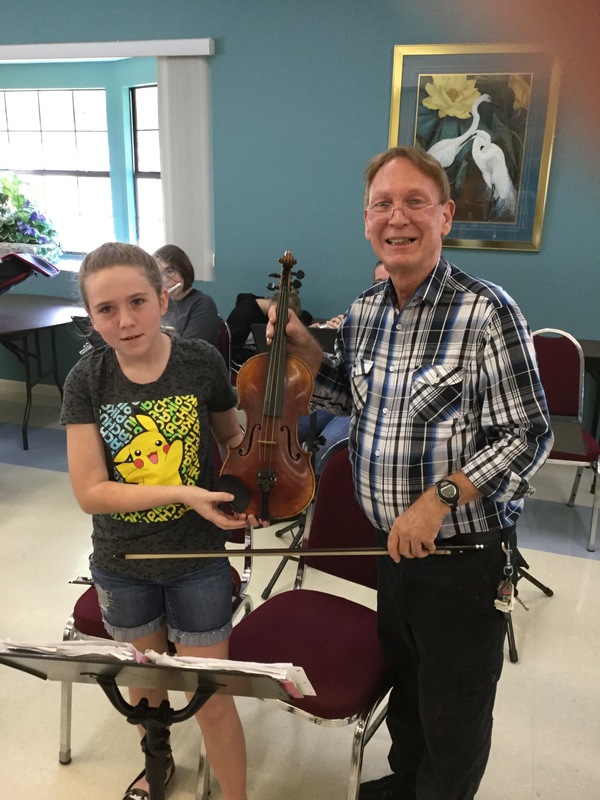 Both Joseph and Maria have played with the Hernando Youth Orchestra (HYO) for many years, beginning when they were each about 7 years old. Their older brother is the current HYO Concertmaster, and they have three younger siblings who also play with HYO. Joseph plans on studying computer science, and expects to be ready for New College in 2 years when he turns 16. Twelve year old Maria is still unsettled on a course study, but reminds us that she has at least 4 years to consider her options as she, too, plans on starting at New when she is 16. To learn more about this exceptional family, please call their father: 352-584-3933. Congratulations to HYO's own Aaron Romero who gave a stellar performance at the St. Theresa Church in Spring Hill with the Spanish Mass Choir in early July. Our rehearsal location is The Heather Community Center building, 9100 Nakoma Way, Weeki Wachee. Our rehearsal time is 3:30 to 5:00 on Sundays. The Heather is on Route 19, about 1.25 miles north of the intersection of Route 50 (Cortez) and Route 19, on the Gulf side of Route 19. Using the main entrance to The Heather, continue straight ahead until the road ends in a T. Turn right at the T. The Community Center building is on the right, surrounded by lakes.